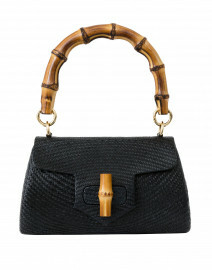 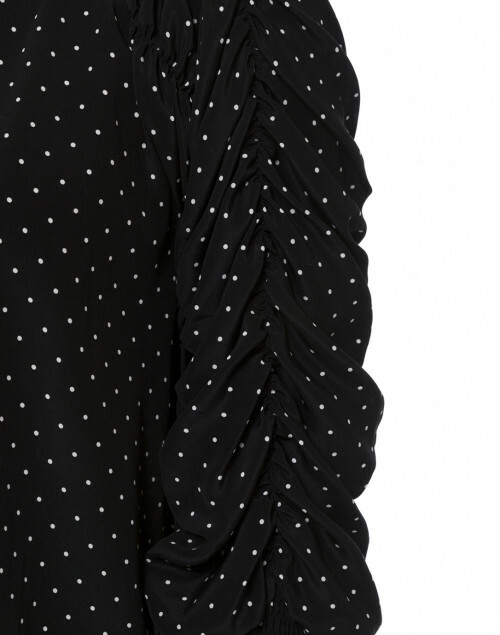 Weill's designs are a feminine fusion of whimsical Parisian aesthetics and couture-style detailing. 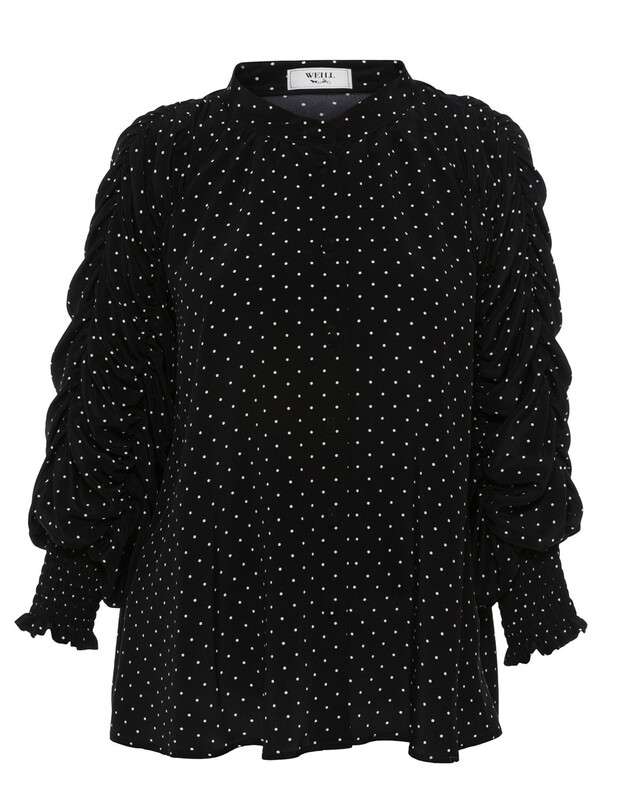 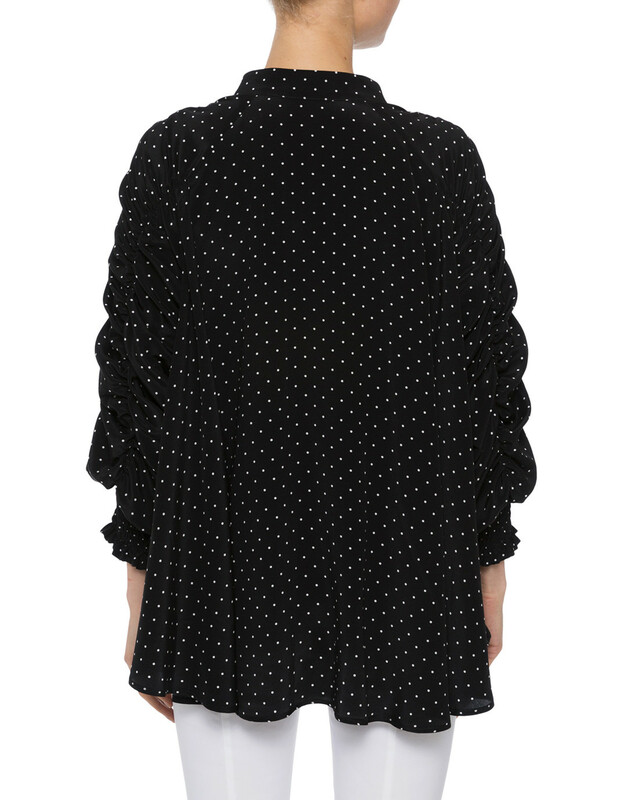 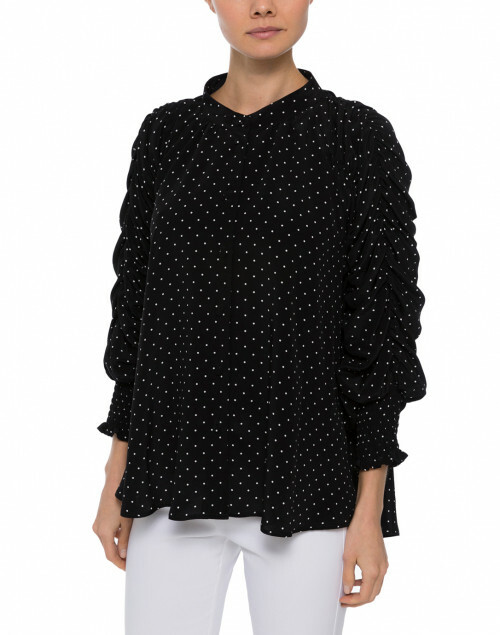 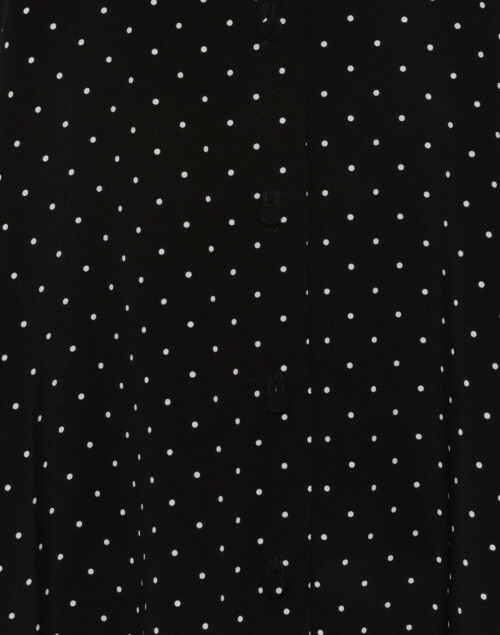 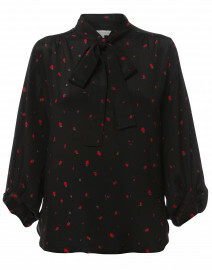 This silk polka dot blouse is a stellar example – it features a high neckline, and voluminous ruched sleeves. 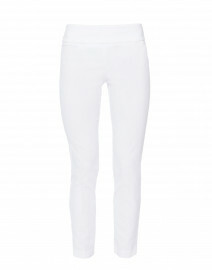 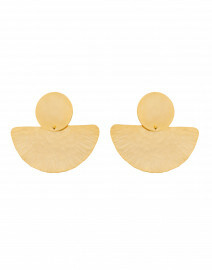 Retain a relaxed feel by pairing it with a pair of jeans and leather flats. Length 29" 29" 29" 29" 29" 29"
Shoulder Width 16" 17" 18" 18" 18" 18"
Bust 44" 45" 46" 46" 47" 48"
Waist 52" 54" 59" 61" 63" 65"
Hip 64" 67" 70" 76" 77" 79"